This simple piece of advice from the father of South Carolina plastic surgeon Dr. Ted Vaughn remains a touchstone of Piedmont Plastic Surgery, and it’s an ideal we apply to every patient who comes through our doors. 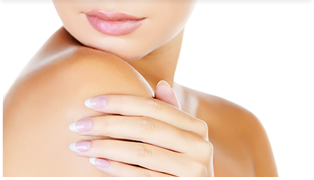 Dr. Vaughn and the Piedmont Plastic Surgery team are dedicated to you as an individual. We listen to your goals, make sure you understand your options and recommend only proven procedures that address your specific needs. Our state-of-the-art Greenwood, South Carolina, plastic surgery and skin care facility offers a comfortable, safe and discreet setting for consultations and treatments, as well as an accredited in-office surgical suite for cosmetic surgery and reconstructive surgery procedures. We welcome you to contact us online or call 864-223-0505 to learn more about your cosmetic surgery, reconstructive surgery and skin care treatment options or to schedule your personal consultation with board-certified South Carolina plastic surgeon Dr. Vaughn. Piedmont Plastic Surgery proudly serves patients in the Greenwood, Greenville, Anderson, Columbia, and Laurens, South Carolina, communities, as well as visitors from Augusta, Georgia.